Thought I would share some of my favorite things I purchase on Amazon! I use these products often…some on a daily basis. Check them out and let me know what you think! I continually get compliments on my nail polish color…it’s the most gorgeous color of pinky/white you can imagine and guess what?? It has been discontinued. Whenever I can find a few bottles online, I buy them up. I am fully stocked for 10 years…no joke! It’s an OPI Gel Polish in the color, Let’s Be Friends. Click here to grab a few bottles…it’s not cheap…but it’s worth it! For the past two months, I have been using this amazing device on my face/neck. I swear by it…it has definitely decreased my pore size and softened fine lines. Lately, people have been messaging me and asking me what am I doing differently…this is part of my new skincare routine. I’ll share other parts of my regime below! I just recently switched to the Pro version, but I will link both. Check them out for yourself, I promise you will not be disappointed! DermaWand and DermaWand Pro. I think both work great…the original has 9 settings and the Pro version has 12 settings, a larger tip and an easy grip handle. In my opinion, I would start with the original version for less than $80…it will change your skin as you know it…just be careful and replace the cap after each use! I have purchased this Smashbox contour kit over and over and over again. It is my favorite and I use every single day!!! Click here to check it out! One of my more recent finds is this amazing natural deodorant from Schmidt’s. Unlike most natural deodorants that have an awful smell or tend not to work well, this one smells great and works all day long no matter what I do. These are my two favorite scents…sometimes I wear both in combination! Click here to check it out! Looking for one of the best skin serums? This one from SkinMedica is a bit pricey, but I can assure you, one of the best money can buy. Click here to learn more! Collagen…we lose it as we get older…so I have been trying to supplement as much as I can with this Super Collagen Powder from NeoCell. I put one scoop in my coffee every morning…and no…there is no taste!!! Click here to purchase! I recently created an egg bite recipe similar to those sold at Starbucks. 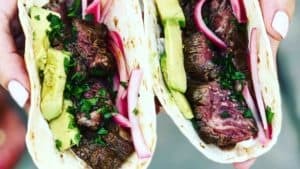 My recipe is super easy and can save you a ton of money! Check out my Egg Bite recipe by clicking here and get your egg mold here! One of my favorite ingredients is this honey from Mike’s Hot Honey. I have created recipes just to incorporate this honey in a dish. Check out my recipes, Spicy Honey Walnut Chicken and Spicy Honey Shrimp with Brussels Sprouts. Click here to purchase. 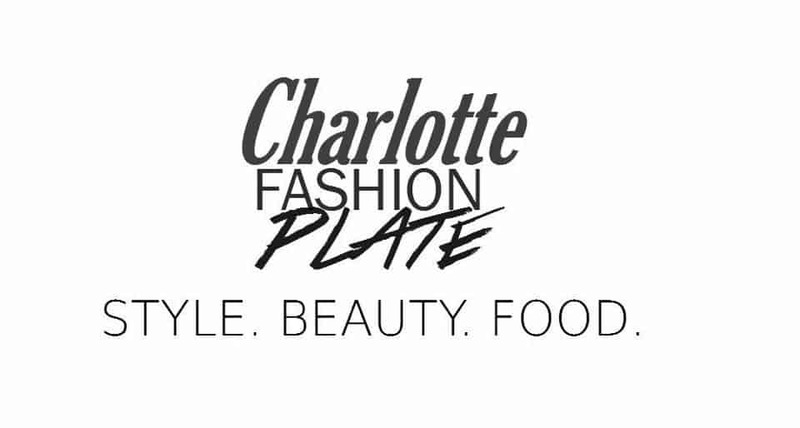 Charlotte Fashion Plate was founded and created by Melissa Latin to bring her keen eye for fashion and style, and her impeccable palate to Charlotte, North Carolina and around the globe. Charlotte Fashion Plate unites Melissa’s passion for both fashion and food to create fun, trendy and affordable looks with easy to follow recipes and current food trends. Charlotte Fashion Plate’s style is comfortable and classy with a bit of edge. Do you need help updating your wardrobe, or need that perfect outfit for a special event? Learn more about our styling services for both men and women in the Styling tab. 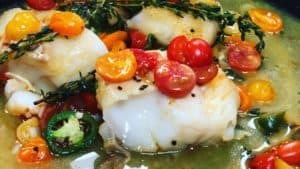 As a self-proclaimed “foodie”, Charlotte Fashion Plate will take you on an exciting tour of Charlotte’s hottest restaurants, eateries and markets. You will discover where to go, what to order, and what not to miss. 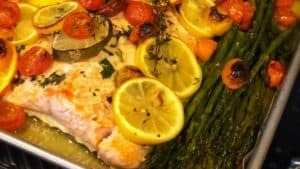 Be sure to follow Charlotte Fashion Plate for recipes that are simple, yet elegant. Watch step-by-step cooking videos that will transform you into an awesome home chef. You will be amazed at just how easy it is to make delicious meals in your very own kitchen. Charlotte Fashion Plate is also dedicated to supporting local businesses in the Charlotte area. We have and continue to collaborate with a number of local businesses and welcome businesses to contact us who may interested in forming alliances. A huge “Thank you” for all of your support. I’m super excited about the future of Charlotte Fashion Plate. Charlotte Fashion Plate!